A man who had been acquitted of charges of incitement to racial hatred, after targeting a Maltese Muslim girl through a foul-mouthed post has been handed a suspended sentence by the court of criminal appeal. Brandon Bartolo, 28, had reacted to an article by social inclusion campaigner Sara Ezabe who had commented about a foreign court’s decision banning the hijab at the workplace. 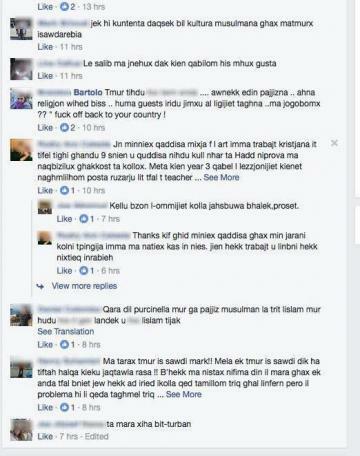 The accused was writing on the anti-migrant Għaqda Patrijotti Maltin’s Facebook page. 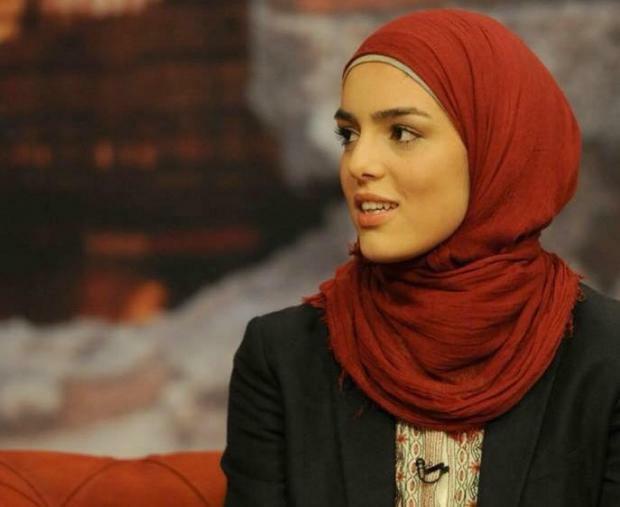 Ms Ezabe, a 21 year-old Muslim student who had founded the #RedefiningUs movement and who is also a commissioner of the National Youth Council in Malta, had contacted the police after reading racist comments made in her regard on Facebook. Mr Bartolo had resorted to foul language, saying among others “they’re (migrants) guests, they have to abide by our laws and if they don’t like it f… off back to your country,” thereby promoting a complaint by Ms Ezabe to the police. Some of the racist insults posted on Facebook. Mr Bartolo was duly prosecuted, admitting in the proceedings, that the comments had been posted by him. The alleged victim was never summoned to testify in the proceedings before the Magistrates’ Court, nor was her report exhibited in the acts of the case. In a judgment delivered in January last year, the court had concluded that the accused’s comments were to be analysed in context, in the light of other comments by third parties as well as the place where such remarks were made. Yet, when handing down judgment on Thursday, upon an appeal by the Attorney General, the court, presided over by Madam Justice Consuelo Scerri Herrera, observed that “unfortunately, racism was a phenomenon that was rearing its head in several countries,” prompting the international community to pass laws so as to counter such offences which damaged the fabric of society. In this case, no intention to insult needed be proved by the prosecution, the court said, adding that it sufficed to prove the publication of such comments which, in the mind of a reader of average intelligence, would lower esteem vis-à-vis those targeted by such comments. Nor was there any need for the alleged victim to testify in such a case, the court continued, pointing out that the assessment of such comments was an exercise to be performed by the court itself. In this case, there was no doubt that the comments had been posted by the accused, as admitted by the man himself. Nor was there doubt as to the “offensive nature” of his words which incited to violence and racial hatred, the court declared. Consequently, the court upheld the appeal, revoked the judgment and declared the accused guilty condemning him to a six-month jail term suspended for two years.